Kenny Haas is back this week to discuss another embarrassing performance by his Buffalo Bills as they were blown out at Indianapolis on Sunday. Also, who does Kenny think Dino Babers should start at quarterback when the Orange host N.C. State on Saturday? 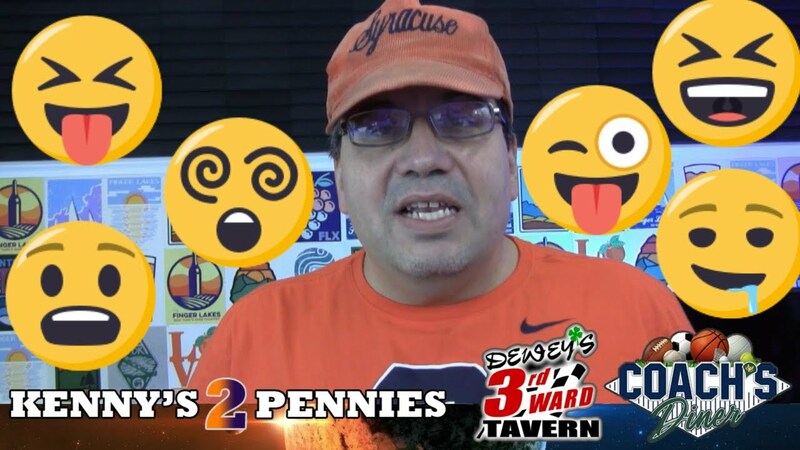 Kenny touches on the upcoming Syracuse-LSU game, recaps another Bills loss to the Pats, and then tackles some other topics including the Pope’s visit to America and what a Rochester City School Board member said that got him in trouble. Kenny Haas recaps the U.S. Open tennis tournament, discusses Donald Trump’s replacement on ‘The Apprentice’, how Vanessa Williams finally got an apology from the Miss America organization, a review of the week in Syracuse and Buffalo Bills football, and he gives his opinion on women who wear torn blue jeans.